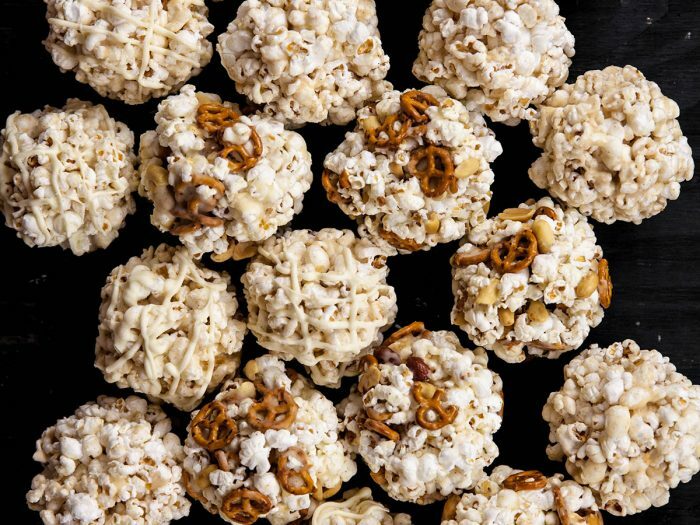 Spiced Popcorn Balls with Peanuts and PretzelsThere isn't a tastier and more fun snack than these spiced popcorn balls with peanuts and pretzels. A pinch of rosemary really ties this recipe together. 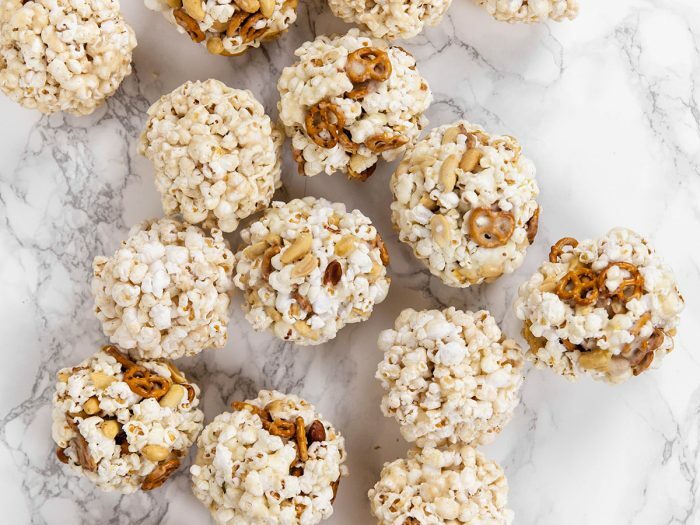 Popcorn Balls with Pumpkin Spice and White ChocolatePopcorn balls with pumpkin spice and white chocolate are an excellent trick-or-treat alternative, or you may just keep this healthy snack all to yourself!